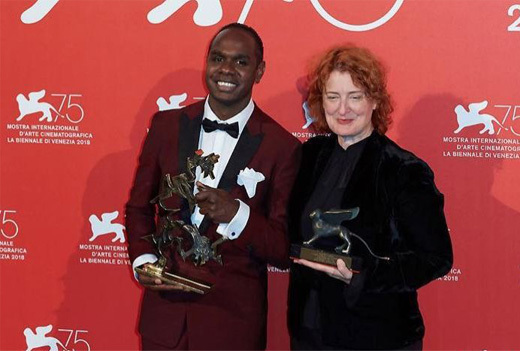 Jennifer Kent’s THE NIGHTINGALE has won the Special Jury Prize at the 2018 Venice Film Festival, with newcomer Baykali Ganambarr also receiving the Marcello Mastroianni Award for best new young performer. The Nightingale is Ganambarr’s first performance onscreen, where he stars in a lead role as Billy. He is a passionate dancer and actor, and performs with the internationally acclaimed Djuki Mala dance group. Set in 1825, Clare, a young Irish convict woman, chases a British officer through the rugged Tasmanian wilderness, bent on revenge for a terrible act of violence he committed against her family. On the way she enlists the services of an Aboriginal tracker named Billy, who is also marked by trauma from his own violence-filled past. The Nightingale stars Aisling Franciosi (Game of Thrones) and Sam Claflin (The Hunger Games) alongside Australia’s Baykali Ganambarr, Damon Herriman (Justified, Breaking Bad), Harry Greenwood (Hacksaw Ridge) and Ewen Leslie (Sweet Country). This is the second year in a row an Australian film has been awarded the Special Jury Prize at the festival, with Warwick Thornton’s Sweet Country taking home the coveted prize in 2017. The film went on to make over $2 million dollars at the Australian box office. “The Nightingale is a powerful and important story, one that we feel privileged to be working on. For the filmmaking team and newcomer Baykali Ganambarr to receive this recognition on the international stage is wonderful,” said Transmission Films Joint Managing Directors Andrew Mackie and Richard Payten. The Nightingale premieres in Australia on 13th October at the Adelaide Film Festival, with tickets now on sale. The Nightingale will release nationally in Australia in 2019.